"Thank you for helping me to come to camp. I really appreciate what you have done for me. Without you, I could have never become what I have become. 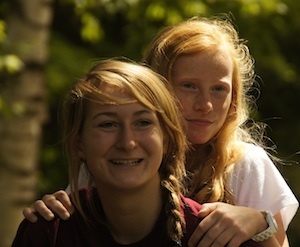 "Camp has changed my life very much. Such as, trying new things, and all the people around me. Sailing is one of the best things I’ve experienced at camp. If I never came to camp, I would never get to sail, and know that it’s really fun. "People here make me feel loved, because of their personalities. The people at camp just make me feel like this is my second home. "This camp is just so beautiful; it’s a breath of fresh air. It’s a beautiful and wonderful place to be. 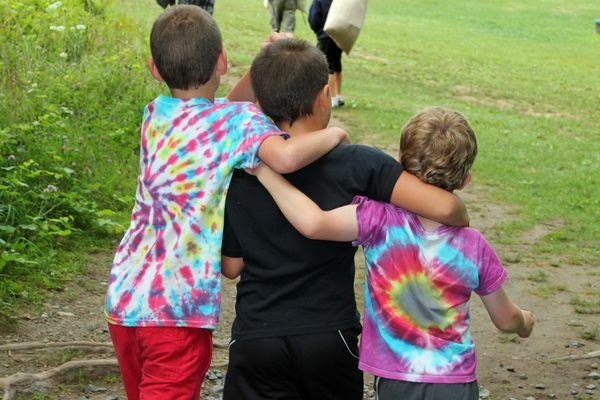 "I can say that camp makes me the happiest kid on Earth, and it’s all because of you. So, thank you for making it happen for me, to come here and have all of these special feelings. "Thank you very much for making me so happy." "I am writing because I want to thank you from the bottom of our hearts the huge opportunity that you gave to our son. Being able to attend camp for the summer was the best experience of his life. He had an amazing time and met lots of new friends. He was able to learn and practice new activities and sports and the most important thing of all he was able to experience and fall in love with the Pcamp and family. He will have the Pok-o spirit for ever. "This is an experience that will remain for ever in his heart. When we ask him if he missed us he said he did but he missed camp more, and he wishes he could be a 7-weeker next year. This shows us his "love for camp since the first days”, according his counselor. "Our family does not have enough words to thank the ADK Scholarship and the Pok-O-MacCready for this amazing experience." "This recession landed on our family like Dorothy's house on the Wicked Witch of the East in Oz. Though my husband and I have tried to manage this hardship with grace, time has worn on us. These are extraordinarily hard time for many American families. In such times, children need Camp more than ever to help them make sense of their world, and give them a glimpse of what else could be. In hard times, no matter the root, children need a safe place. "Thank you for giving my daughter another summer of esteem building, and giving her a healthy, nurturing place outside of the home. I'll bet if (camp owner) Jack Swan met a genie in a bottle, one of his wishes would be for every child in this world to have the choice to attend camp; a selfless wish born from the Pok-O-MacCready spirit. "Thank you for advancing that spirit to a broader base of children!" 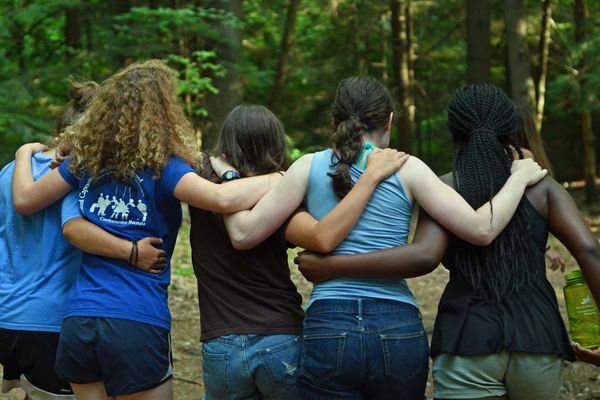 "I've wanted to go to camp since I was four years old. All of the class choices made me excited: tennis, swimming, rock climbing, etc. When I was seven, my first year, I was super excited to go. I made sure my parents brought me as early as they could, and I picked my bed on the first day. 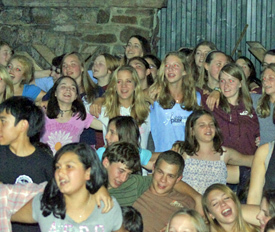 "I love how most of the counselors were once campers. They know what we love, don't like to do and sometimes how we feel because they have done it when they were kids. "I know my camp friends better than my school friends because I live with them. I learned their likes and dislikes, what they're good at and not good at, their goals and fears. It teaches me how to be a better friend. "You sort of mature at camp because you have a bunch of responsibilities and stuff, like inspection chores, and getting to classes by yourself. Responsibilities at camp are more fun than usual responsibilities at home. "What I love the most about camp is everything! “I would like to thank you for my wonderful years at camp. It has truly become my home over the five summers I have spent at camp. I have learned more about the world and myself than any book or classroom could ever teach me. 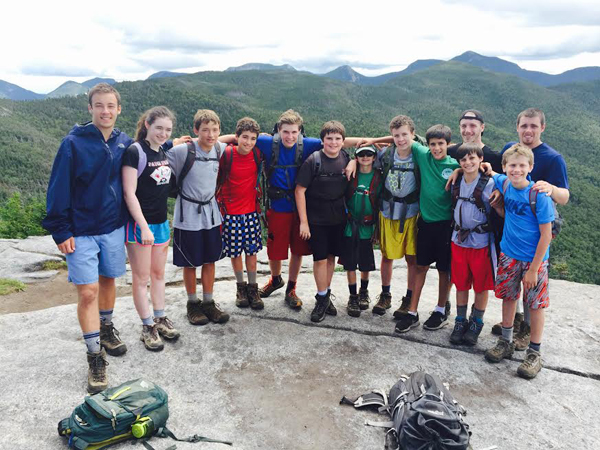 “During my time as a camper, I have hiked all 46 of the Adirondack High Peaks, I’ve learned to teach a little boy how to fish and I have had more fun doing compost or farming than I though was possible.